The second issue of Joe Books’ Disney Princess continues pretty much the same way as the first one. 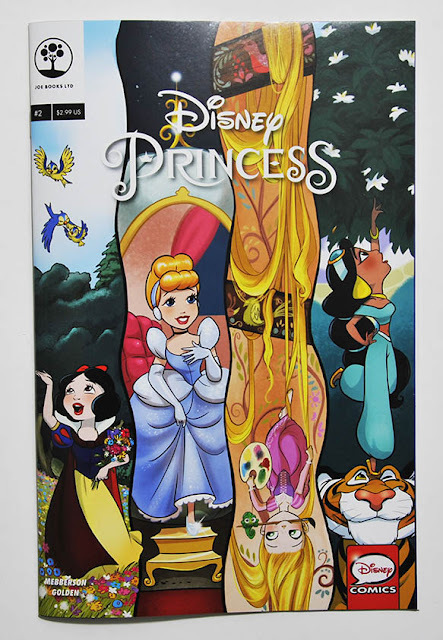 Again we have a mix of individual strips and short storylines with characters from Disney movies featuring the various princesses. Some characters are the same as we saw in the first issue, but we also have a storyline with Jasmine and her tiger Rajah, Mulan and her friends, and Tiana’s friend Charlotte is hanging out in Duke’s Café. I haven’t seen Aladdin or Mulan in forever, and they were not exactly fresh in my memory when I read this issue. So I actually re-watched Aladdin this weekend, and plan on watching Mulan again too. That's a little bonus effect by reading these comic strips; they make me want to watch the movies again too. As I said in the blogpost about the first issue, you’ll probably get a lot more out of these comic strips if you know the movie stories. I realize that the publisher might have a problem filling the entire comic with new original content, the credits intro is unnecessarily stretched out over two pages too. Amy Mebberson would have to work like crazy to be able to fill an entire comic with artwork each month, and that would probably lower the quality on the work too. So that part is understandable. But there are other options. A lot of existing short stories with the princesses exist that could be used to fill up the comics. 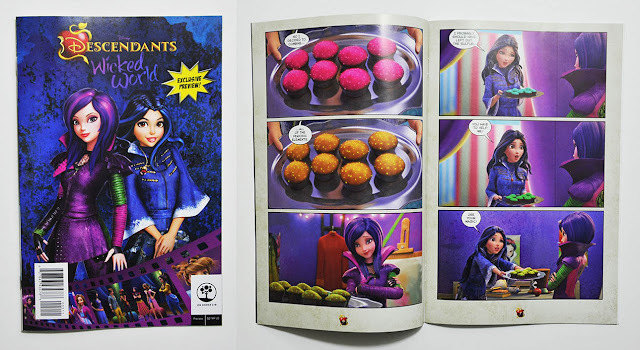 Joe Books already used several short stories like that as fillers in their "Disney Princess Comics Treasury" book, so it shouldn’t be a problem to license similar short stories for the Disney Princess series too. I don’t have a general problem with a few pages of ads. IDW use to have 3-5 pages of ads in the back of their Disney comics too and I’ve never had any problem with that. A few pages with a summary of Joe Books’ other comics or upcoming titles could actually be interesting! But using 1/3 of the comic to preview one other publication is way too much! I'm with you. If Amy Mebberson can't fill up a whole issue monthly, I'd much rather have them fill the extra pages with existing short stories featuring the princesses. Or, alternatively, make the title bimonthly. I also am teetering on the edge of canceling my subscription. These previews are irritating, especially since they are for cinestories, a genre I would never buy. But I do like Mebberson's work, and I hope to be able to go on supporting it.